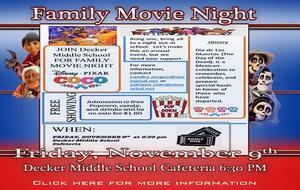 Come out and join Decker Middle School for Family Movie Night. 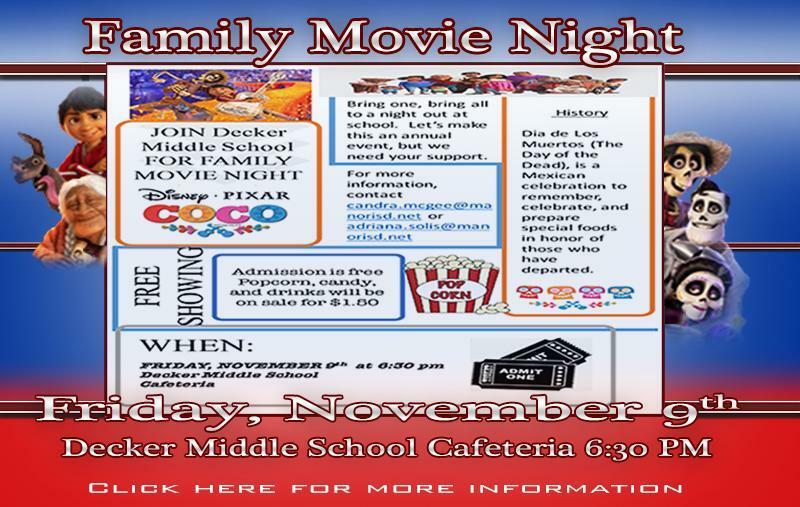 Disney's Pixar "Coco" will be playing in the DMS Cafeteria on Friday, November 9th at 6:30 pm. Bring one bring all to a night out at the movies, let's make this an annual event. The admission will be free with snacks on sale.